We are extremely proud of our dedicated team at Advanced Laser Skin Clinic. Our laser care staff bring a wide set of skills and expertise. So you can be rest assured that you are getting the treatment plan that is right for you. The following is a brief introduction to our team. 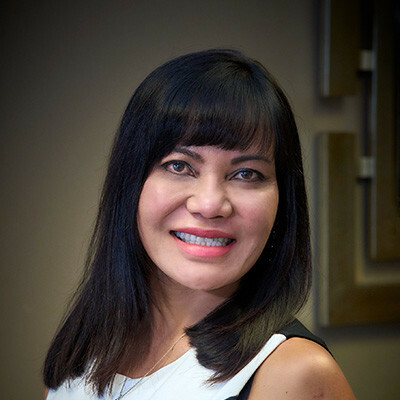 Mary Howard, owner and operator of Advanced Laser Skin Clinic, is passionate and committed to helping clients look and feel their very best. Her vision when forming the practice was to offer the latest in cosmetic laser technology in order to achieve each patient’s desired result. 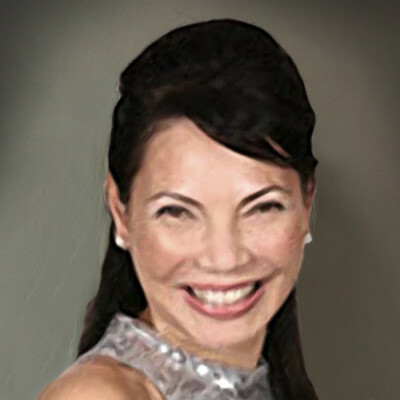 Ms. Howard is a certified laser technician specializing in treatment offerings on the PicoSure Laser, Vectus Laser, Icon Laser and SculpSure Laser, the most advanced and effective laser technologies available in today’s market. Her attention to detail and precision focus are complimented when using the sophisticated PicoSure Laser, which targets all colours of tattoo ink, skin sagginess, wrinkles, melasma, acne scars, sun spots and piercing discolouration. Client satisfaction is Mary’s highest priority. She is readily available to discuss any of your aesthetic questions or concerns. Contact Mary to schedule your free consultation. Dr. Howard is Advanced Laser Skin Clinic’s Medical Director and Advisor. 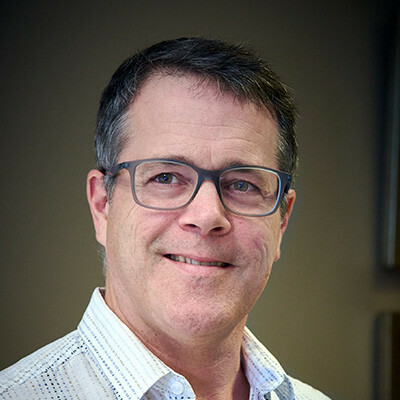 He graduated from the University of Saskatchewan College of Medicine in 1991. Dr. Howard reviews all clinic protocols, approves product selection and works closely to ensure all safety procedures and standards are met. Dr. Howard actively participates in staff training with all new lasers, technology and techniques. Dr. Liedeman specializes in facial aesthetics and has been using Botox and dermal filler applications to help patients address the signs of aging for more than 20 years. Myrha Foutris RPN, aesthetic Nurse Injector. Certified and trained by stylage, teosyal and galderma. Trained and certified by Dr. Akef, at the Canadian board of Aesthetic Medicine for advanced injections. Currently works at Lunae cosmetic clinic In Toronto with Dr. Akef from Or Canadian board of Aesthetics. Also a Business owner of Health and Beauty Enhancements in Mississauga. My goal for my clients is to maintain their original beauty, yet enhance and beautify for a more rejuvenated look and feel. I first prioritize my clients health and consult with the doctor to see which treatments that can determine the best results. My philosophy in beauty and having good healthy skin is by having good habits and lifestyle. Not only do I look out for my clients best interest but to help him or her achieve the desired look they want in the most natural way. I practice what I preach, I do my best in living a healthy lifestyle and avoid stress as much as possible that’s why I don’t sweat the small stuff. My second passion is raising my two children Amanda and Josephine. The rest is visiting my other home in Los Angeles with family and friends. Graduated Canadian Beauty College 2018 Laser technician Diploma. Specializing in the Vectus, Icon, SculpSure, facials and chemical peels and has training with sharplight IPL at school and is our Front Desk administration. 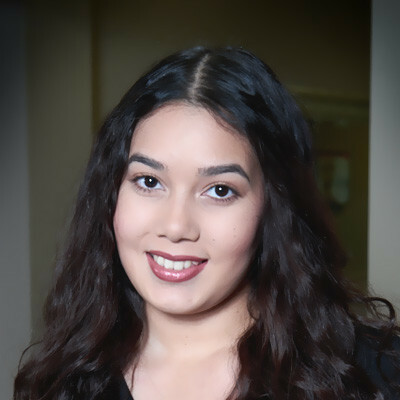 Rebecca focuses on attaining and maintaining healthy, beautiful skin and providing clients with the knowledge and application for each client to reach their ultimate goal. She is excited and determined in helping in special events and coordinating meetings and performing administrative duties. Currently at York University achieving a Criminology Degree. Victoria has been with Advanced Laser since 2014, overseeing all the administrative functions in the office as Administrative Officer. Directly handling all financial and appointment matters and primarily organizing and assisting in special events, preparing conferences and meetings. 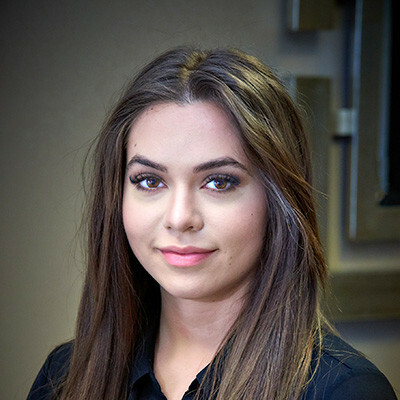 Victoria enjoys helping clients achieve their needs and is determined to push Advanced Laser to their best. As Medical Director for ALSC (Advanced Laser Skin Clinic), I stand behind Mary’s decision to exclusively use Cynosure lasers. They are the largest research and development laser manufacturer in the world. Since acquiring Palomar, ALSC are the leaders in the field. Cynosure was the first to develop the Picosecond technology (prior to that, Q-switch was the standard for 50 years but is now falling out of favour for very specific reasons), the first to bring it to market in 2013, and the Picosure is widely considered the world’s best available tattoo removal laser. Picosecond (one trillionth of a second) pulsing means the laser creates a photoacoustic (pressure wave), or pulsed shock wave effect on the tattoo pigments breaking it down into microscopic dust molecules, with very little thermal (heat) effect. Lower thermal energy used during treatment means less risk and side effects. PicoSure comes with a 755nm wavelength which is proven for green and blue inks (most predominant tattoo ink) and a 532 nm hand piece to optimize red, orange and yellow inks. The Picosure also offers a focus hand piece which is ideal for skin rejuvenation, acne scar reduction and wrinkle re-surfacing (again using low thermal energy and high pressure photoacoustic pulse to prevent side effects and improve results). It has FDA clearance (and Canadian Health Canada approval) for these applications, the other Pico technologies DO NOT. PicoSure also has the most peer reviewed studies and support data to prove performance and safety as compared to all other tattoo technologies. It can achieve more than 90% removal of ink particles in as little as 4 treatments. No side effects, no recalcitrant tattoos or ghosting (residual white skin left after most other tattoo removal technologies have removed the ink) post treatment. Newer “pico” laser imitations include the Picoway and the PiQo4. The Picoway has a wavelength of 785nm which has significantly less absorption into blue and green ink as compared to the PicosSure 755nm (despite seemingly close in number, pigments respond in very narrow ranges) but more importantly it lacks the pico second pulsing which allows the Picosure to create a higher pressure wave (70% more than other Pico technologies) to help break up the ink without using heat. This means that the Picoway has to gain a result by using much more heat, therefore more side effects such as heat damage and hyper pigmentation. The PiQo4 lacks the 755 nm wavelength to treat blues and greens as well. It also lacks the pressure pulse and relies more on heat to break up the ink, which means more chance of burning and blistering. It is less effective and has no validated studies to back it up. Both Picoway and PiQo4 are ‘copycat’ technologies with very little research and performance data to back up performance. These systems took years to come to market due to difficulties achieving results and preventing side effects. Picoway only achieved a 50% clearance of tattoos in their FDA submission papers. As well, the competitive devices have no proof of skin type versatility as 26 of 27 subjects were skin type I-III with only one IV in their study. PicoSure can treat all skin types safely because of the pressure wave and very low heat usage. This is why the majority of tattoo removal clients choose PicoSure! It is the #1 sought after treatment in the world! Bottom line: Make sure you understand the risks and disadvantages of other Pico technologies before you go anywhere else, and only compare apples to apples! PicoSure is the #1 tattoo and skin rejuvenation device in Asia and North America. There is a reason for that!! PicoSure has 5X the ‘searches’ to any other tattoo technology in the world. As a side note and as we have previously discussed the PicoWay has shown very poor clearance in their clinical studies and their published paper (Lead author Dr. Eric Bernstein) which showed only 79% clearance after an average of 6.5 treatments, which mirrors our Revlite. The RevLite has shown similar clearance in less treatments. As noted below you can see some key takeaways from their paper and presentation at ASLMS. "The laser tattoo removal is amazing! After the first session, you will definitely see amazing results, half of my colour from the tattoo was already gone (I had pinks, reds, blues, yellows, greens, whites and blacks in the tattoo). Previously I did one session regarding EliminInk, it left me with heavy scars. After one session at advance laser skin clinic with their laser my colour from the tattoos and my scars have reduced. It honestly does not hurt, the clinic has special techniques and creams that help numb the skin, I was extremely surprised since I have a tattoo in a very sensitive area. I highly recommend this service at this clinic, I am very satisfied with the results and now I can officially say I no longer have that unwanted tattoo on my body." "I love Mary!!! Congratulations on your new business adventure. Mary has the Picosure laser in her new clinic which is the next generation in laser tattoo removal. We met a few weeks ago for my first laser tattoo removal session. My experience with Mary and her staff was fantastic and actually fun! I found the treatment to be less painful than getting a tattoo. We suspect a total of four sessions, six weeks apart should eliminate an unwanted butterfly tattoo on my foot. My second session will be in March... I can NOT believe the difference after one session!!!! My tattoo is fading before my eyes! I am excited to publicly share the Before, During and After photos of my laser tattoo removal. Thank you Mary!" "I had a tattoo removed in less treatments than I was originally quoted, I mean how often do you get that? Usually people will try and up-sell, tell you to get more than you need, etc. Mary is very open, honest, passionate about helping people. I heart the results I have gotten with all of my treatments (tattoo removal, skin rejuvenation, laser hair removal) and am looking forward to a long term relationship with this place. I just told Mary today how happy I am to have the latest and greatest technology for skin problems in her clinic here in Barrie. You're doing great!" "I am so impressed with the latest advanced acne laser Picosure treatment. I am currently on my third treatment and have seen my scars filling up. Can't wait to see results. The staff are knowledgable and professional. They know what they are talking about. I've searched and searched for a long time, years even. But I have to say I am pleased with their lessen downtime and recovery. You can even schedule two weeks later. Thank you Mary and tram for this life changing experience!" 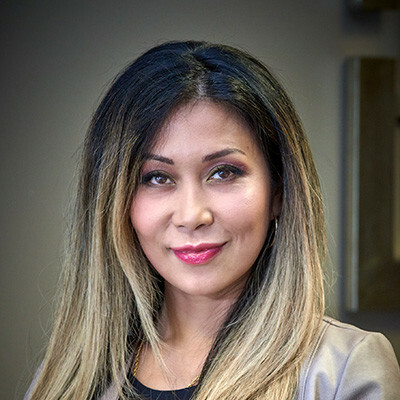 "I visited Barrie's newest advanced laser skin clinic today, owned and operated by Mary Bartolo, and was fascinated by the degree of professionalism and knowledge exhibited by all staff. Congratulations Mary on your new business. If today was any indication, you are going to be very very successful!! Looking forward to your Grand Opening February 7th!!!" "I wanted to say how happy I am with the process of tattoo removal at Advanced Laser in Barrie. I was watching and waiting for the newest and best laser technology for tattoo removal, the Picosure laser, to come to Barrie, and at last it has! I have had two tattoo removal sessions so far and the ink is really fading fast. Winter is a great time for tattoo removal as my tan is gone anyway, and Mary widely advised me to stay out of the tanning salon. Barrie has tough winters but I'm putting this one to work by having my tattoo removed. I see Mary once a month for the tattoo removal. Meanwhile, I also go to a physiotherapist weekly here in Barrie and she keeps asking, every week, if I've gone for another tattoo removal session as the ink keeps lightening week by week as my body digests it. How tattoo removal works: The Picosure laser apparently breaks up the ink into smaller particles and the body gradually removes the tattoo ink over the next month. And did I mention how little pain there is with the Picosure laser tattoo removal system? The chiller they use to blow cold air on your skin really works! so happy that I chose Advanced laser for my tattoo removal. The place is so clean, and the skin care line they carry- Vivier- is fantastic- I am using it on my face daily. I understand that Mary is also using the best hair removal laser, also made by Cynosure, called the Vectus. And she has a full Medispa including chemical peels and microdermabrasion, as well as botox and filler injections. It's not just about tattoo removal! What a great service Mary Bartolo has brought to beautiful Barrie!" "My tattoo and hair removal process has been a breeze. I was a bit hesitant about the whole thing but Mary and Heather put my worries at ease. From the moment I walked in the door I was treated like family. I initially went to Advance Laser to have a consultation because I had a permanent discoloration on my nose as a result of putting in a silver stud before my piercing was fully healed. This left me with a large black/blue spot and scarring on my nose, even after taking the piercing out for several years. Mary's PicoSure laser got rid of this spot after only a few treatments. I was so impressed with the results that I decided to book in for laser hair removal too. Unlike other places, their lasers get rid of light colored hair and the hair is permanently removed. So you don't need to keep going back for touch ups, year after year. For anyone contemplating any sort of hair or tattoo removal, I would highly recommend Mary and her team. Their prices are reasonable, the service is excellent and the results are even more impressive." "My hair removal has been such a great experience. Everyone has made me feel so comfortable and welcome. I have tried other treatments other than hair removal and it wasn't a great experience! This is a wonderful place to not only see great results no matter what you are seeking but you are surrounded by amazing women that want to help you!" "My hair removal has improved my self confidence and was a surprisingly easy process. I saw results with the first treatment and immediately thought "why haven't I done this before?" As I continued with my treatments and saw how easy it was to make the hair go away I started telling my friends and coworkers about it. They waited to see if I'd like the results and now that they've seen the progress they've all started going. I no longer shave which saves time and money, no longer have to worry about finding that stray hair on my chin and the treatments were fast. What takes the longest at these sessions is chatting with the staff! They make it so comfortable and easy. I see women now with facial hair, arm hair or that tell me that they shave their legs and it grows back right away and never feels smooth. Laser can treat all of that. So worth it. I wish I'd have done this sooner. At first I did my lip, chin and then my armpits. I loved the results so much I started doing my legs and bikini too. Just imagine not shaving all summer, no razor burn, going on vacation and not even packing a razor, in and out of the shower without shaving your legs... this is by far the best gift I've given myself in a long time." "My face was blotchy with a very uneven complexion. When I first began treatments with Advanced Laser Skin Clinic it was for their rejuvenation treatments to eliminate brown sun damaged sections. Only a few treatments later and I love my complexion and their new skin products. I especially enjoy and look forward to my facials with Heather, so relaxing. I have since begun their facial hair removal program, and recommend Advanced Laser Skin Clinic services to all my friends and family." "This is the only place to go if you're looking for tattoo removal! After my first treatment I have already seen a great decrease in my giant brightly coloured tattoo. They are not just professional and knowledgable but also incredibly friendly and personable. Im a single mom so money is tight sometimes but they work with me to make payment plans I can afford. They even offered to keep my son entertained while I had my appointment. The treatment is virtually painless and there are no nasty scars left behind. You get the best treatment with all the information you need to take care of your skin afterward. I will only ever come here for any future laser needs. I did comparison shopping before i came to advanced laser and they offer the best prices and the best equipment. I highly recommend!!! Thanks guys! See you in 6 weeks :)." "My face...I recently received IPL treatment on my face at Advanced Laser Skin Clinic and wanted to share how amazing my skin looks after only one session! My initial concern was broken capillaries; visible around my nose and cheeks but I didn't expect my skin to feel tighter and look younger as well!. After one treatment the capillaries were noticeably smaller and less visible. Even my "age spots" disappeared only two days after my treatment. Its remarkable. I didn't even experience any swelling post treatment; simply mild redness. Again Mary and Heather and the staff are amazing! Also I would like to share my progress with the PicoSure Laser treatment I am having on a tattoo. I am only two treatments in and very soon going for my third and the results are absolutely incredible. Having been treated with a Q-Switch Laser prior to discovering Mary and her team I was several treatments in and still did not have the results that I have had after only two treatments using the PicosSure. I cannot say enough about this advanced technology; you have see the results for your self; amazing! I challenge anyone who is wanting to remove a tattoo with actual results, to go and visit Mary and her staff at Advanced Laser Skin Clinic in Barrie-you will not be disappointed!" "The laser hair removal treatments were great and painless! I've done laser hair removal with all sorts of older lasers and none of them work except the Vectus laser at Advanced Laser. The facials are exceptional and felt refreshed and relaxed. I would recommend anyone to Advanced Laser who is looking for the best of the best with ANY laser treatment, wonderful hospitality and overall a pleasant experience." "Incredible lasers!! Mary and her staff are very knowledgeable, professional and offer top of the line services! Nothing like this around anywhere!! Definitely worth a visit!"